RGC HydraSaws are unmatched for power and easy operation when cutting through concrete, natural stone, masonry, pipe and block. 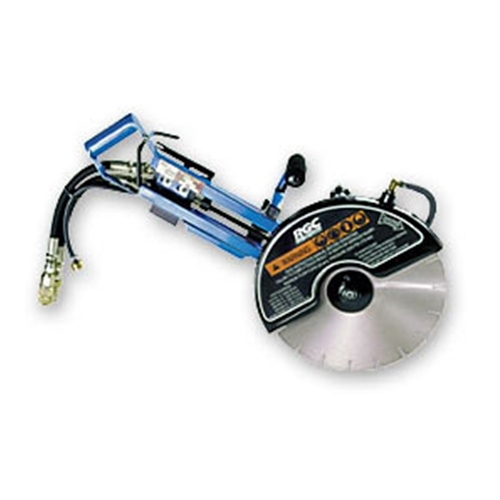 Use an abrasive blade to cut steel and other metals. The hydraulic direct drive [provides maximum power, consistent cutting speed and torque. Maintenance is minimal. Each saw includes a guard, water attachment for wet cutting, hose whips with fittings and trigger lockout. 14 in. circular saw with 5-1/4 in. cutting depth. 4100 rpm @ 8 gpm.